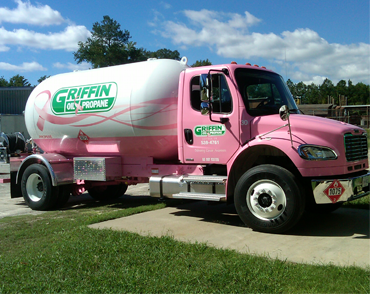 Propane / Appliances | Griffin Oil and Propane | Suffok Energies, Inc.
Griffin Oil & Propane offers a full range of propane and natural gas appliances. We carry all major brands and can special order items not in stock. Visit one of our showrooms to see many of these items live or contact one of our offices for further information. You no longer need a fireplace to get the look and feel of a real fire. Let us help you with a vented or unvented fireplace that will even heat when the electricity goes off. These units consist of a wide variety of styles and looks and can normally be installed with little alterations made to your house. You can have mantles, hearths, or freestanding units to best suit your preference. Choose from units with blowers or fans to units with thermostats or remote controls. We show a full line of the below brands in our showroom or we can special order other items to suit your needs. These units consist of freestanding or wall mounted units and can be either vented or unvented. Many units can also be installed with blowers or thermostats and will even operate without electricity. Units range from 6,000 BTU’s all the way up to 65,000 BTU’s and are considered up to 99.9% efficient. Rinnai Tankless water heaters give you a never ending supply of hot water. You will never have to think about it again. Tankless water heaters give you revolutionary comfort, efficinancy, and space saving conviencnce. Bradford White standard water heaters deliver a balance of high efficiency and high recovery. Conventionally vented water heaters are designed to give you years of reliable service and energy savings. Top of the line gas grills will last you a lifetime; and their warranties guarantee it. These grills come in a variety of sizes and models to fit any grilling need. Features include permanent or cart mounts, side order cookers, side shelves, or a rotisserie. Are you tired of buying a new grill ever 4 years? Buy your last grill first!